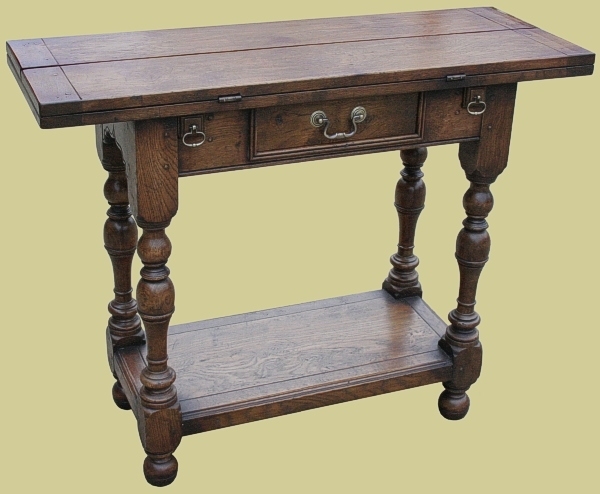 Folding tables from our fully bespoke Wilmington and Chalvington reproduction furniture ranges. Extremely useful pieces that are essentially dining tables, the tops of which fold away to become side tables. Ideal where space is limited. One of our clients uses her 'Hunt Table', primarily as a side table behind her settee in the lounge, where she displays photographs and a couple of table lamps, both for reading by and for good decorative effect. 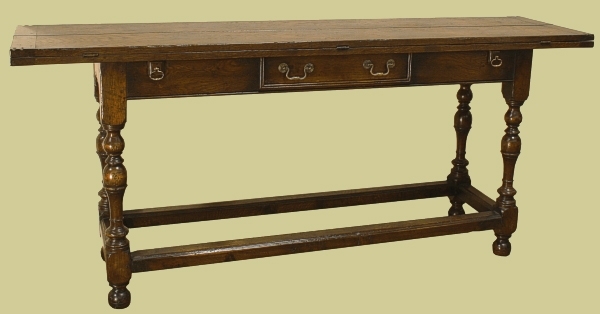 Occasionally, when her dining table isn't large enough for guests, she moves the 'Hunt Table' into the dining room to form a 'T' shape with her Elizabethan table, thus increasing the seating capacity. With this in mind, we made her table exactly the same height as the existing dining table, at no extra charge. What is the Ideal Dining Table and Chair Height?